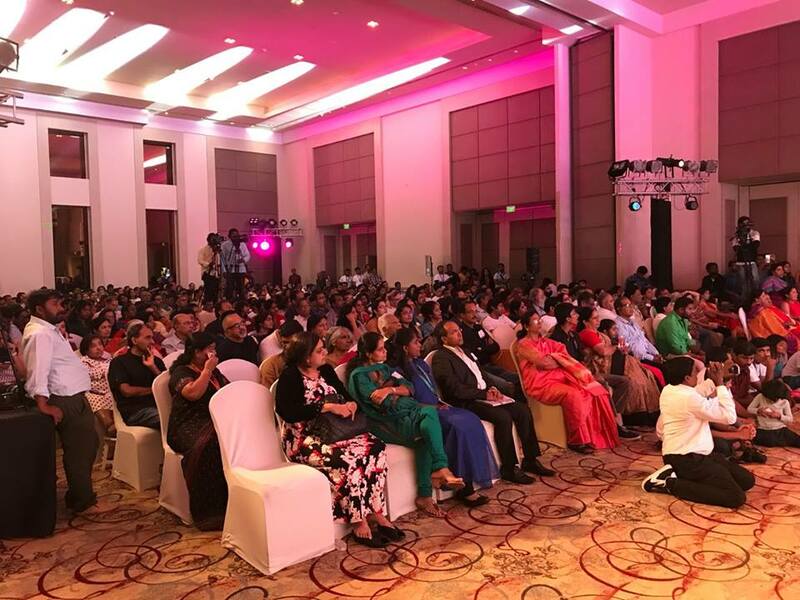 Thank you for hosting India Inclusion Summit and for the opportunity to attend the same – it was a thoroughly inspiring event! Hailing from a remote hamlet from the mountains, I always looked at cities as hubs of greed & pomp apart from all the opportunities that they provide. 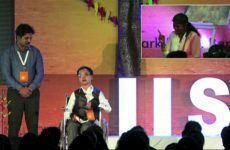 After attending IIS 2017, I realised that cities can also be hubs of empathy, kindness, generosity that can create an equal playground for all to benefit from opportunities. Thank you again! I am looking forward to an opportunity to contribute to your future events & activities that are aimed at giving back to the society for greater good. Please let me know how I can contribute. A million thanks to you for this initiative. It takes a big heart to do something like what you are doing. I got to know about IIS from Harsha Bhogle’s speech. At that time I was going through the darkest days of my life. Due to a road accident, I had a severe head injury which resulted in the loss of my right eye’s vision. I’ve had to through Twelve surgeries, so far. Today I’m a Sales Engineer in the Textile Industry. Its been a few years since then and I always look upto IIS videos for inspiration. That night, after the event, I boarded a bus back to my place, Coimbatore. After settling down I noticed that a few co-passengers were from Transgenders. Influenced by prejudice, I felt some discomfort to travel with them, initially. But, in sometime a thought dawned upon me. They had stood up against the odds in the society, made a mark for themselves and were able to afford travelling in an AC bus. I would credit your initiative in enlightening me and realising this wonderful attribute about them. It helped me make them feel included. 12th November 2017 will be one of the remarkable days for me, a day I’ll cherish for a long time. 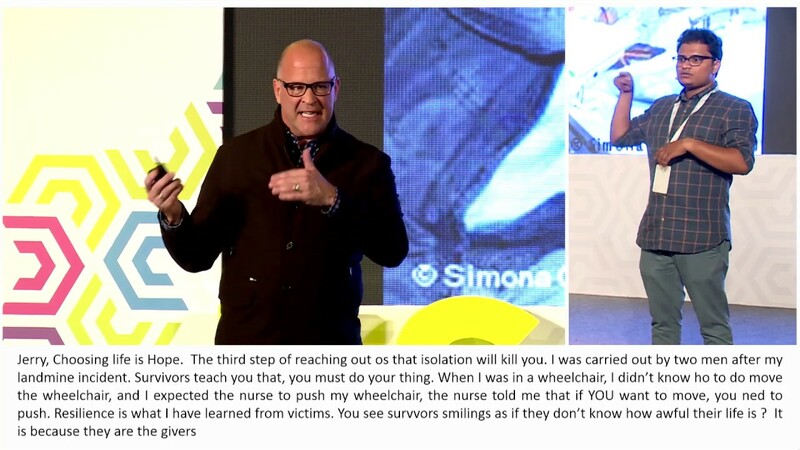 This is the first time I am attending IIS and it was so motivating and enlightening. Every speaker / session had a message and a take away. It was exhilarating to meet and speak to people whom till then I have heard and seen online. Everything was so well planned – right from pre-registration to the end song, Ragi Thandira by Mr.Dixit – I have never enjoyed a seminar so much, as I have had with IIS. Kudos to volunteers. I specially thank Ashraf from Allegis who was in contact with me for the last one month to ensure my attendance and to clarify all my queries. He did his best to make sure I had a comfortable chair (which I requested beforehand, due to my knee surgery) and a cushion. Though he would had many other participants to attend to, still he made me feel comfortable, checking during break times if I needed anything. I felt so happy. Thanks Ashraf, as I informed to your Managing Director,YOU ARE A BLESSING. It was really The Best Weekend. Thankyou for coming up with this revolutionary mission of 2030. We will surely make this dream come true. As this was my first time in IIS, I did have my own perception but it turned out to be something so amazing and mesmerizing that I am so speechless and unable to express the holy feeling that has been culminated in me. I felt this summit was a prototype of the beautiful world we are dreaming of. Was a beautiful gathering !! Thank you … this will give momentum to a lot of change !! Thank you so much for inviting me to the friend raising event and IIS — it was a truly special experience; I have never seen so much joy, compassion and inspiration at one place. 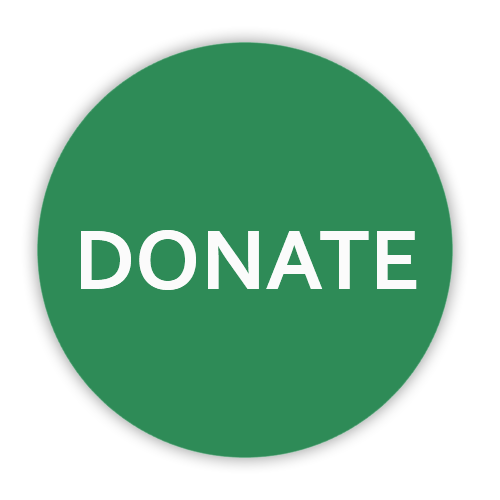 I am grateful for the opportunity to join this journey and would love to contribute to the cause in whatever way I can. Will look to you for direction as this is a new area for me. Ferose, one thing that really resonated with me yesterday was when TM Krishna mentioned that within every kind of exclusion, gender is another layer of exclusion. I do hope we remember this as we go along. Personally, IIS has made me promise myself that I will change at least one life for the better. I don’t know how I’m going to do that yet, but I’m sure I will find out soon. Can’t tell you in how much high esteem we hold you .. you have won our hearts and a big part of our soul. Thanks a lot for making me a part of journey that we experienced last week. The amount of energy you and the participants enthused in me was great. Even my Uncle and colleagues along with the students were in a speechless happy state after the summit. I know a great great amount of hard work has gone into this and salute to all you guys from our family. A big hug and salute to all you Heroes 🙂 Keep Rocking!! Great event. Thank you for inviting me. I believe that there is an opportunity to leverage technology to help inclusive development. We have only thought of the financial inclusion, but we need to think of all sections of society when we look at inclusion. It is not an overstatement if I say this was one of the most moving evenings in my life. It is great to see the selflessness from you and the team behind the summit. And the speakers were eloquent in why it is high time for us to change the state of inclusion in India. I really learnt a lot in the summit and at special Friends raising event. Quite an innovative ideas of circle, 78 members with firm determination like Dandi Kuch etc. I met with several like minded people and very confident that together we will be able to achieve our 2030 goals. Once again, thanks a lot for inviting as a speaker, taking great care as a host by allocating volunteer like Venu for outstanding services and help by Venu. It has been almost a week since the fellowship has gotten over and I must say that I am still getting over it. That week was definitely one of the highlights of this year for me. The Fellowship has opened up many mental blocks that I, as a Physiotherapist myself, had. It has given me a renewed faith about the immense possibilities that people with disabilities have. 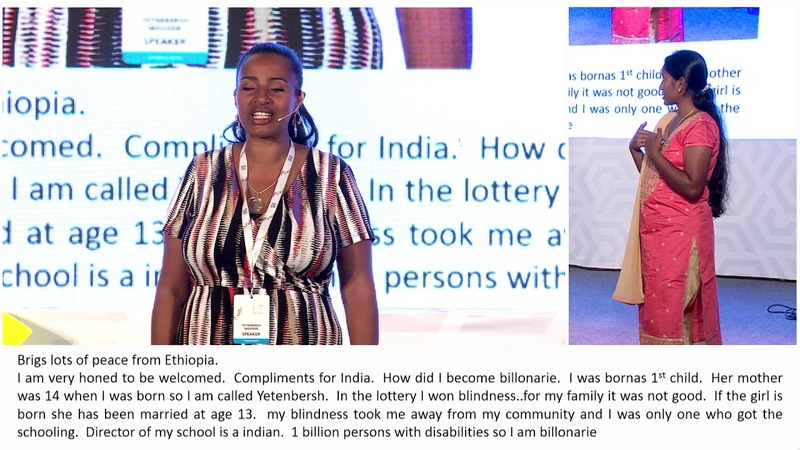 The talk by Ummul Kher about how we tend to limit persons with disabilities to certain jobs has made me want to go and encourage parents having dreams for their children, who have disabilities, to not lose heart and that we will toil and fight with them in this amazing journey. Thank you so much for including me in this amazing work that you and your team are doing. I am looking forward to contributing in any way that seems fit. Please feel free to engage me in this mission that we are all a part of. Sincere thanks to you for your invite and our “inclusion” into this Inclusion summit J Happy meeting you at the summit . What an awe inspiring programme it was ! Kudos to you and the young and vibrant team of Ferose and the passionate organizers and volunteers . Meticulous planning , awesome speakers and overall a wonderful experience. Will be cherished for long time to come. Yet again a big thank you. It was indeed a heart touching experience to share the past two days with some of the finest human beings on earth. Thank you very much for bringing them together and making me a part of it. 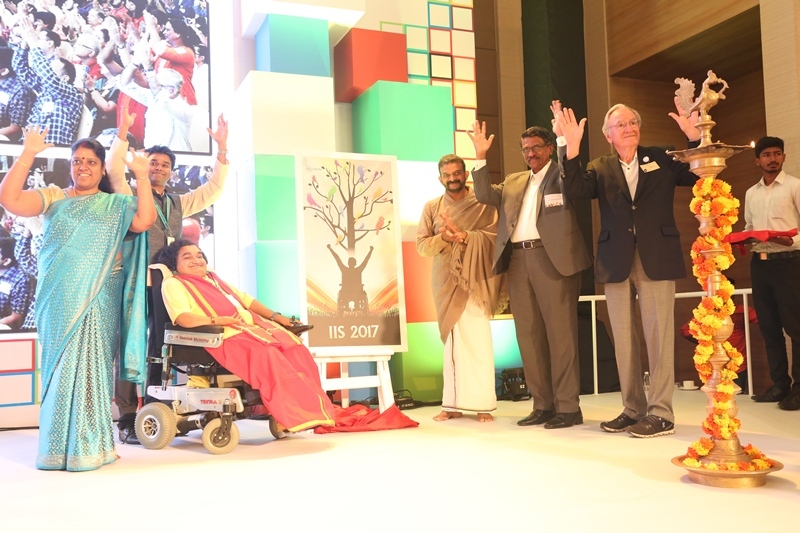 The talks and performances by the super humans were absolutely awe inspiring and I certainly pray for an all-inclusive India by 2030! Your organisational capabilities were exemplified in the Friends Raising Evening and during the Summit. The volunteers volition “from the heart” directly touched our hearts, and I wish they stay blessed and pray for their well being! May you’ll stay blessed and happy right through! 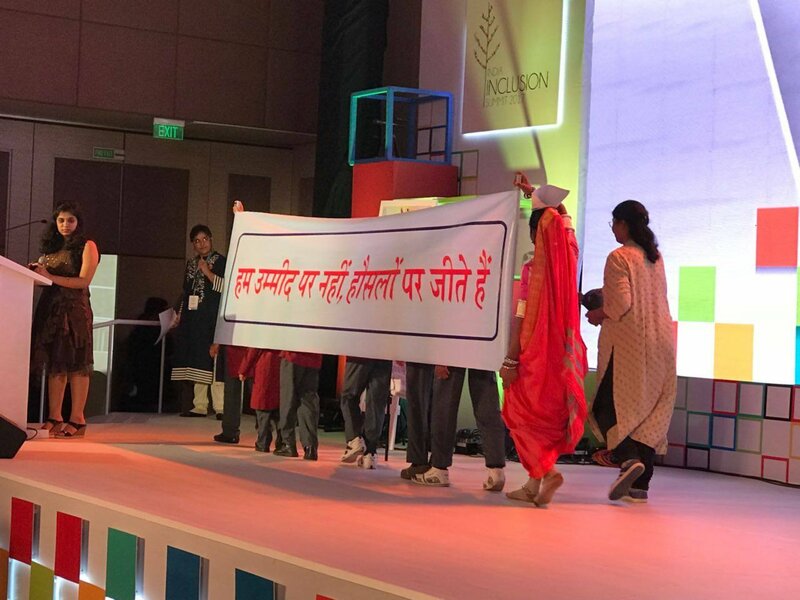 I feel extremely humbled by the seeing the initiative you have started with a motto of “inclusion for all”.This was my first experience at the Summit. The entire day of 12th of November was so overwhelming that I have yet not stopped sharing my experience about it with others. This kind of an event is “ one of its kind” not only in spirit but also in terms of in its presentation. The varied speakers and their experiences which was shared in the dais was the best convergence of courage, determination, resilience and the power of the individual. Kudos to your team members who have put in such meticulous effort in putting the event together. Thank you once again for giving us the opportunity to experience such an event. I am really thankful to you for organising such a wonderful event and feeling happy to be a part of this. Hats off to you and the wonderful people who supported you with great enthusiasm and the effort they put to make this event an unforgettable one! Looking forward to make our nation an inclusive one by 2030. Thank you very much for such an Exciting event ! Sorry to reply so late ! Just got caught up with work ! I am not sure how we could work together, but, please do let me know ! Having the event so well organized is an achievement ! Hearty Congratulations ! I would like to journey in the action plan after the event ! You certainly give us such special comfort in the invitation and took so much pain to contact and welcome people ! I have no words to express how good we felt ! Lots yet to be accomplished . and when you say you want to convert it into a movement, that is where I actually fit into ! What an amazing day it was! Humbling completely! We were overwhelmed and touched by the warm welcome given by you. I was fortunate enough to attend IIS2017, although it was my first experience but amazing. To be very true we as a special parents of a special kid (Vatsal, 100% disabled) want to forget our problems, or in other words want to come out from our deep rooted depressions for some time. We had a great time, which could become possible because of you and your team in all respects. Now I can say that this event was the one of the greatest time of my life till now. I want to add some more which we should add in coming IIS. Thanks Ferose. It was awesome event. Well planned and meticulous attention to smallest detail possible. I received a lot for my mental well being, Made a small donation and wrote a blog to keep the positivity that I received from the event alive. #IIS7 for me personally created me the space to meet Preethi Srinivas (much awaited), Shalini (inspirational), Ummal (admiration), surprise meet with Vijayragavan uncle turned out to be the cherry on the cake and it was a chance to meet a couple of other real warriors. I missed meeting Arun Shourie. Exciting, motivating, inspiring and amazing day. Congrats on the successful event. My first visit. And as I had mentioned to you in my earlier mail, the purpose of my attendance was to help my son start getting involved in the process of inclusion. Like one speaker correctly said…..accept yourself before others accept you. I did read a little about you and the work you have done to put this in place. Tremendous work from your side to bring this to the current level. Since you know about bringing up a challenged child, you would know the psychological barriers they either face or conjure up non-existent ones. And it is sometimes a gamble to decide. Sometimes, it is worrying, wondering whether a nudge would propel them forward or whether it would push them down. My son is an introvert, or so he says and believes . I assume, lot many of the challenged people believe they are, until they hear the applause while they are on stage. I am sure the excellent program would have been absorbed and appreciated by my son too. I would appreciate if we are kept in the networking loop. I am sure my son will be on your stage soon, to address the August gathering. Wish you guys lots of Success. Thank you is all I can say. I truly think that you and your team is doing a wonderful job. Every word to describe You and Your team is such an under statement. 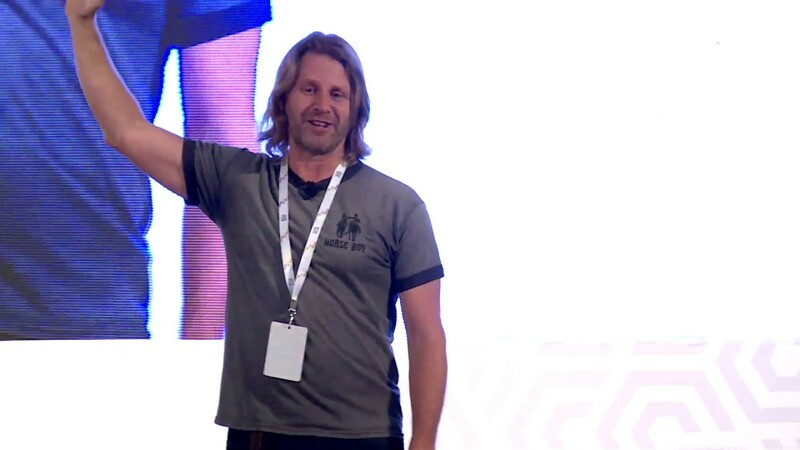 As usual IIS 2017, was an amazing experience…as inclusive and as inspiring as always. Thank you for letting me a part of this summit and as a special educator I take home a lot to motivate my students. The conversations , the speeches and the beautiful performances were all so inspiring and gave me a lot of hope about having a wonderful inclusive society by 2030! Hats off to you and your team. Looking forward to the next summit. Thank you once again. Thank you so much for giving the opportunity and IIS 2017 truly made me feel awesome. I would like to be part of this movement for life time. I visited Bangalore not just to attend the summit but also look at a future business prospect in this domain. Honestly, what I took back home from the event was something more than anything else. It was an experience which is hard to explain in words. I was amazed to see how people can challenge their limits with a broad smile on their faces. Prashant’s words still flash to my mind! Congratulations and a big thank you from the bottom of my heart to you and your team for organizing this event. Thank you for making us all involved in this inclusion festival 🙂 It was really awesome event. 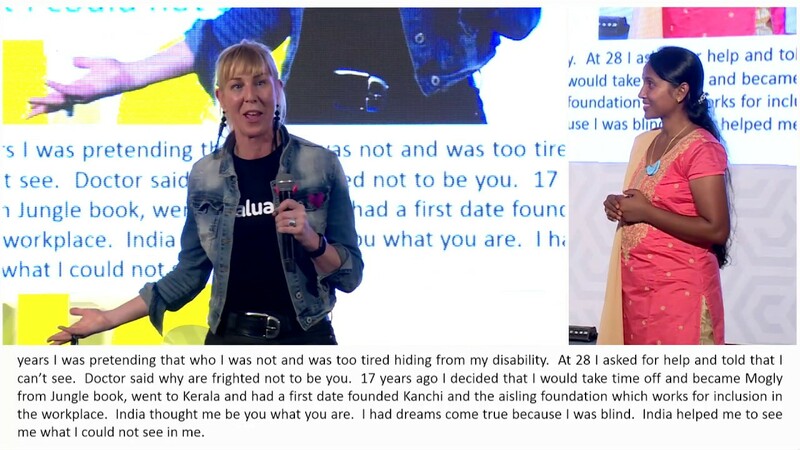 It gave me strength and expanded my dreams to do more in this space of disability. It has been very short journey of social sector for about 2 years now and you such leaders inspire me more. We should actually do an exhibition day international level IIS2018 to promote the same 🙂 whats say ?? Everyone is good at infinite things…….